In September of 1986, in the small Mexican town of San Juan de Los Lagos, a prodigious grower of grass named Javier Campos was born. Within a year, Javier and his family made their way to the United States and settled down in San Francisco. At the time of his high school graduation, Javier was working as a suit salesman at JCPenney when his future brother-in-law mentioned a Greenskeeper job he should consider at California Golf Club of San Francisco (Cal Club). Despite having never played golf, the prospect of earning a reliable hourly wage to better support his family sounded enticing. Seventeen-year-old Javier left his job selling suits for commissions and began what would eventually become his career calling. Initially, Javier only agreed to work at the club for the summer. He had plans to enroll in the police academy with a group of friends, but life had something else in mind. Finding a profession where you get to work outside, on a beautiful piece of property, has a way of changing your plans. Javier decided to start working full-time at Cal Club in 2004 as an entry-level Greenskeeper. Shortly after Javier returned, he was offered a Second Assistant position under the condition that he enroll in school for a formal education in turfgrass. Javier accepted the role and enrolled in the Rutgers University Turf Management certificate program; however, this didn’t come without a significant degree of personal sacrifice. In order to complete the program, Javier was required to spend 4 months a year for two consecutive winters in New Jersey, taking him away from his wife, family and home. Nevertheless, Javier received his degree and was eventually promoted to First Assistant, reporting directly to Thomas. 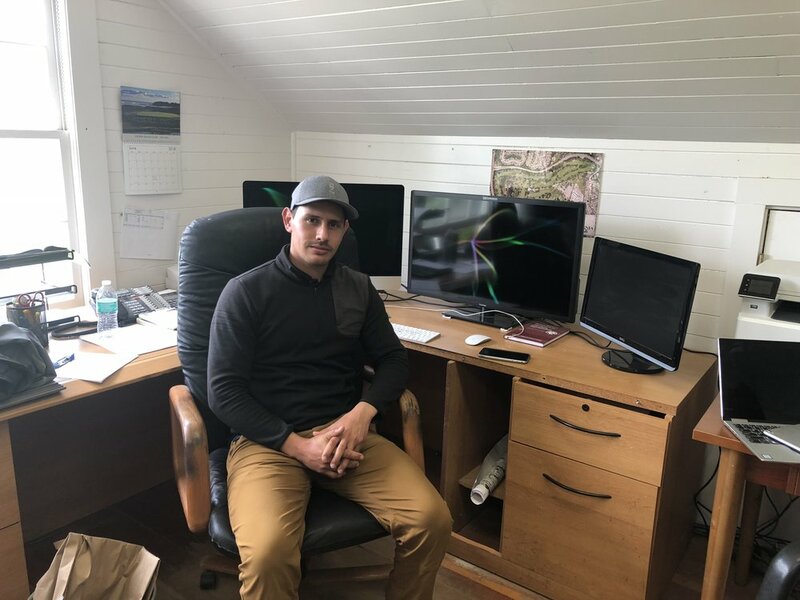 Three years into his role as First Assistant, as everything started to feel stagnant, Thomas mentioned the PGA Tour was pursuing him as a Competition Agronomist. Javier had seen Thomas turn down many jobs in the past and assumed this time would be no different. To Javier’s surprise, he accepted the PGA Tour’s offer. Thomas’ pending departure meant the arrival of a very rare opportunity, a chance to take on the role of Superintendent. This moment served as yet another opportunity for Javier to learn from his predecessor. Having never formally interviewed for any jobs in the past, they worked together to ensure Javier was ready. As their relationship had always been, Thomas taught, Javier listened, and in May of 2017 at the incredibly young age of 30, Javier Campos was named the Superintendent of Cal Club. Against all odds and industry norms, the small-town kid from San Juan de Los Lagos had landed the role of a lifetime at one of the most respected and admired golf clubs in America. Given the fact that you had no experience, why do you think Thomas hired you to begin with? They needed bodies for sure, and San Francisco has always been an area where hiring staff for golf courses is tough. Clubs are competing against other jobs that pay more, and you don’t have to start working at 5am. I guess he probably thought I was just a young guy who was teachable, so he took a chance on me. Once Thomas announced he was leaving, what was the process like interviewing for the Superintendent role? It wasn’t as stressful as I thought it might be. Maybe I just didn’t have anything to compare it to, considering that it was the first formal interview I ever had to go through. I interviewed with several guys on the Board, including our President and our GM, Glenn Smickley. Being able to answer all of their questions showed me that you don’t know how much you actually know until you are asked about it. I knew they were considering doing a national search, so my job in talking to both the president and the GM was to place value on understanding the property. When you started, you didn’t play golf. Do you play now? I started playing more once I became the First Assistant. I don’t play as much as I should or would like to, but lately I’ve been trying to get 9 holes in every Monday. I play enough to understand the course conditions, but finding the time isn’t easy. How does playing the course change how you see and manage it on a weekly basis? When you drive around in a cart, it’s hard to see every detail we could improve. When you walk the course, everything stands out. Whether it’s the density of the turf or how well the greens are receiving the ball, you really can’t grasp that just by someone telling you, you have to get out and play. Members always talk about “firm and fast” but I’d have no clue what firm and fast is unless I actually go out and play. Did you feel uncomfortable learning how to play at a club with so many serious golfers? I would’ve probably snuck off to public courses and driving ranges to spare myself the initial embarrassment. Definitely. I sucked. It was super frustrating because of how competitive I am. Our head pro recently reminded me that I grow grass for a living, meaning imagine what the golf course would look like if I was instead working to be a scratch golfer. Our members are pretty supportive though, about 1/3 of our crew stays every Monday and plays golf. Members actually get excited about seeing us out there, which is great. You mentioned that Thomas was a mentor and played a key part in your professional development. What are the primary things you learned from him that help you in your role as Superintendent? It wasn’t the turf aspect. It was his organizational and people management skills. Thomas always said the grass growing is the easy part, and I never thought that was true until I took over. Once I started as Superintendent, it became more about managing my staff and the membership. Thomas was always really good about getting the most out of people, that’s one of the things I cling onto. Getting labor in SF is tough, so sometimes you have to make do with what you have. One thing I remind myself is to not give up on people. It’s easy to get frustrated with guys. Thomas went from calling this role a manager position to a coaching position. Instead of just telling guys what to do, we’re coaching them along. I also learned a lot about how he manages a crowd, how to respond to member questions and how to handle yourself at certain events. In my opinion, that stuff can be more important than managing the actual course. It’s what separates good superintendents from great superintendents. What’s the most common remark you hear from members relative to course improvements? Our naturalized areas. We’re at a point now after the renovation that those are the areas we’re talking about improving. You can always take a fairway or tee box and think you can make it look better, but we’re talking about how we can get our native areas to look like the LACC’s, Shinnecock’s or Erin Hills’. The big thing that our membership is starting to understand is that you have to have patience. I always say, these “unmaintained areas” are everything but that. It takes time to get them where you want to be. Being an Alister MacKenzie course, you have a big responsibility in keeping the look of the bunkers. What’s the biggest challenge in maintaining their look and shape? It’s a less is more approach. To maintain the natural look, you can’t just take a mower to them, you have to string trim them. Every guy has a different style, and maintaining the bunkers is an art. For whatever reason, our guys see it as one of the lower jobs on the totem pole, but I think it’s one of the most critical. I want to think that we are recognized for our bunkering and greens. If we can’t maintain those, we’re losing something important to the course. The hardest aspect is putting all that hands-on time into training guys on the string trimming. Bunkers are always a moving target, so I’m constantly telling guys how much grass we want in a certain area or even how many seed heads on a particular bunker. What makes string trimming challenging? You don’t have one guy who is going to do every bunker. I’d love to do them all, but I can’t. When you have six guys doing the trimming, the look and outcome can get pretty subjective. Trying to get them to see the course and natural look through my eyes is the tough part, but they do a great job. Is there one hole or feature on the course you’d like to change? I’d like to remove or improve some of the few existing cart paths. Also, if we could get the native areas to look like some of the other places I mentioned, the course would be that much better. I was beyond thrilled to see the majority of members walking with push carts. Have they always been a big part of playing at Cal Club? No, before the renovation I actually can’t recall ever seeing a push cart here. You were either carrying, or you were on a golf cart. After the renovation in 2008, cart rounds were at around 45-50%, and today we’re down to 17%. Wow. How did that shift away from electric carts take place? Mostly through education and communication to the membership. We went from having rye grass everywhere, which you can beat up with no issues, to now having fine fescue. If you aren’t cautious, things can go south quickly under certain conditions. Maintaining firm and fast conditions puts you on the edge of stress tolerance levels, and adding excess cart traffic will only add to undesired effects. Having a great GM (who was a former superintendent), a golf pro who has invested time in starting a caddie program and a supportive board have been key in getting us where we are today. One argument private clubs love to use to avoid allowing push carts is that they are detrimental to the turf. What are your thoughts on that? I don’t think push carts have a negative effect. A golf cart weighs about 1,000 pounds compared to a push cart, which isn’t more than 30. If anything, people might be concerned with pace of play but that isn’t an issue here. In regards to damaging turf, I’d call BS on that one. Maybe it’s different back east or other places, but we don’t see that as an issue here. You’ve made it from Greenskeeper to Cal Club Superintendent at the age of 31, where do you go from here? What’s next? Right now, I’m just focused on continuing to improve this place. I know this is a business and nobody owes anybody anything, but I feel that I owe the club my full commitment for all they’ve done for me. They’ve shown their loyalty to me, doing everything from paying for my education to helping me and my family get into our own home. So we’ll see, right now I’m just enjoying the ride. Hypothetically, if Cal Club ceased to exist, what’s the one club you’d want to go work at? I’ve heard great things about Chicago Golf Club. I’ve read a lot about it on Golf Club Atlas, and I hear members talk about it all the time. I think that’d be a pretty cool club. Cal Club is open 7 days a week, which is really unique for a private club. Why is that? The club takes pride in the fact that we’re open on Mondays, and that’s one of the reasons why people want to join here I think. Monday used to be our maintenance day, and now it’s one of our busiest days, in part because nowhere else is open. There’s no offseason at Cal Club, it’s year-round golf. Is it tough never getting extended time off during the winter? Yea I’ll say that is a downside of California. It definitely slows down a little, enough to where we do our training / planning during that time of year, but the course keeps going. East coast guys always say that growing grass out here is easier because of the weather and that’s probably true, but out here it’s a 12-month season. Your mind is always going. The post-renovation greens are a pure Bentgrass blend. You don’t have Poa like most of your neighbors. How has Cal Club managed to keep the Poa out of the Bentgrass greens? I have to give Thomas a huge amount of credit in that he implemented Marc Logan’s Greenway program with his own twist. This program works but is site-specific in my opinion; however, it’s just one of our tools. It is a lot about what we don’t do that makes us successful as well. For example, we have never verticut our greens and therefore rely on other practices to manage density. In a place where there is golf 12 months a year, we have gone as long as four months without any Nitrogen applications. We keep things lean. And I can’t stress how important not giving up on hand picking has been. You hand pick the Poa off the greens? Yea that’s one of the bigger reasons we’ve kept it out. Guys are hand picking Poa for 25 minutes per green anytime they go out and mow with their robot. We do a full sweep of every green once or twice a year. Pure greens are our priority. Cal Club was one of the first places to roll out the robotic mowers. Why did the club decide to give them a try? Yes, in January of 2016, we started with two mowers and now we have five. Initially, we wanted to test if they were going to make us more efficient. Like I said, labor costs in this area are a big issue. We went from having to hire part-time guys to hand pick Poa to now having our own guys do the hand picking as the mower does its job. It’s allowed us to take care of other details with the extra man hours that the robots afford us. How were the robots received by your staff and the industry? The staff was initially skeptical. I think they assumed we were trying to get rid of them, but ultimately we just wanted to lighten their load. Once they saw the benefits, they bought into it as well. As far as the industry, guys from Pebble Beach, Meadow Club and SF Golf Club are now interested in this technology, so I think it’s cool that we’re setting the trend. Can you see robotic green mowing expanding into fairways? I know there are companies working on a fairway unit right now. Once those come out, I think more people will get onboard. When you start talking about mowing 40+ acres of fairways overnight, you’re really going to get guys’ attention. There a lot of well-known courses in the Bay Area. How is the course at Cal Club differentiated from them? When I compare our course to anything else in this area, I don’t see them having the tight lies we have here. A lot of places have ryegrass fairways and taller rough. At Cal Club, you get so many shot selections, particularly around the greens. Olympic is tough and a true test of golf. If you’re in the rough at Olympic, it’s going to be a long hole. In contrast, we have wide fairways but very tight lies, which can be difficult if you’re not used to that. We’re now mowing at lower heights than we ever had before, and the members are noticing how challenging it’s becoming. What did you think about the setup and conditions for the U.S. Open at Shinnecock? I liked it because of the tight lies. The pin positions, which were the biggest controversy on Saturday, were iffy given how tough the course was playing. But I’m not going to question it because out here we’ve gotten comments on how creative we’ve gotten with our pin positions. We always make sure they’re fair. It’s the U.S. Open, it shouldn’t be easy, people have to know that. Their goal was to make the course challenging, and I think it was awesome to see guys struggling. How would you characterize the different cultures of Cal Club, Olympic and SFGC in regard to the personality of the club? I’ll say this about Cal Club, it’s a fraternal type place. Guys want to come here, play golf, have a beer and enjoy themselves. It’s not a stuffy place. Maybe I’m biased, but we have the best members who know how to have a good time yet hold themselves to the standards of what it means to be a Cal Club member. AUTHOR’S NOTE – I’m very embarrassed to share this story, but it’s important to share because it’s indicative of the club’s culture. They have a no shorts policy. I was very aware of this prior to meeting with Javier and like an idiot, I STILL forgot to wear pants. I spent over an hour in the clubhouse doing work and going in and out of the bar and locker room, and not a single person mentioned or chastised me for this clear breach in protocol. If you do something like that at a self-important club in New York it wouldn’t take more than 5 minutes for them to strap you to a rocket and blast you off into the Atlantic. In terms of the course, what’s your worst nightmare? What keeps you up at night? Making an impact on the interns and the assistants. I want to make the same impact on these guys that Thomas and now Glenn, my GM, have made on me. Being able to teach and train guys is the coolest part of my job. Cal Club just celebrated its 100th year and brought out the centennial logo. Which logo do you like better, the centennial logo or the crest? The centennial logo. I’m trying to convince members that’s the logo we need to keep. It’s incorporated into our crest logo, but to me simpler is better. 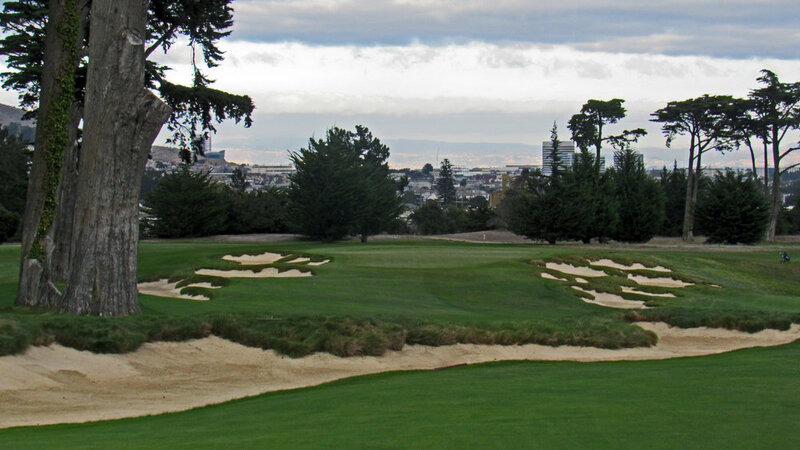 What’s the most underrated course in the Bay Area? Cal Club. When people say there are two other courses around here that are better than us… I’m just like, I don’t know about that. When guys schedule golf trips to the SF area, I regularly hear them saying they wish they would’ve saved Cal Club for last. Calling your own number as the most underrated club might be one of my favorite answers ever and the perfect mic-drop to end our interview. I can’t thank Javier enough for taking the time to sit down and chat with me. It was a pleasure getting to know him, hear his story and pick his brain. I spoke briefly with Thomas Bastis following our interview about Javier, and he said the following, “I couldn’t be more proud of Javier. He has earned everything himself. A lot of hard work put in.” I hope you enjoyed hearing about Javier and Cal Club as much as I did. Just a small town guy and his golf course, Living the American Green. Written by Trey R., Founder of Outside the Cut. Read more from Trey on his website and Twitter.